When we last caught up with Marble Empire (Matt Berry to his friends), he was building up to his first EP, teasing singles every now and then and making a big noise in the indy press with his blissed out electro-funk. 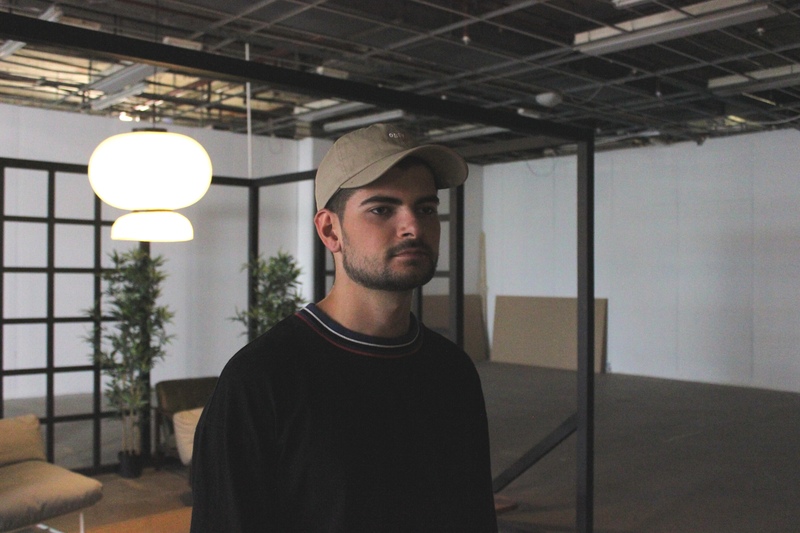 Treading new ground in the channel carved by Jungle and Ben Khan, he’s made a name for himself as one of the scene’s most promising musician-producers, turning out high-quality dancefloor jams and thoughtful videos from his headquarters in south east London. 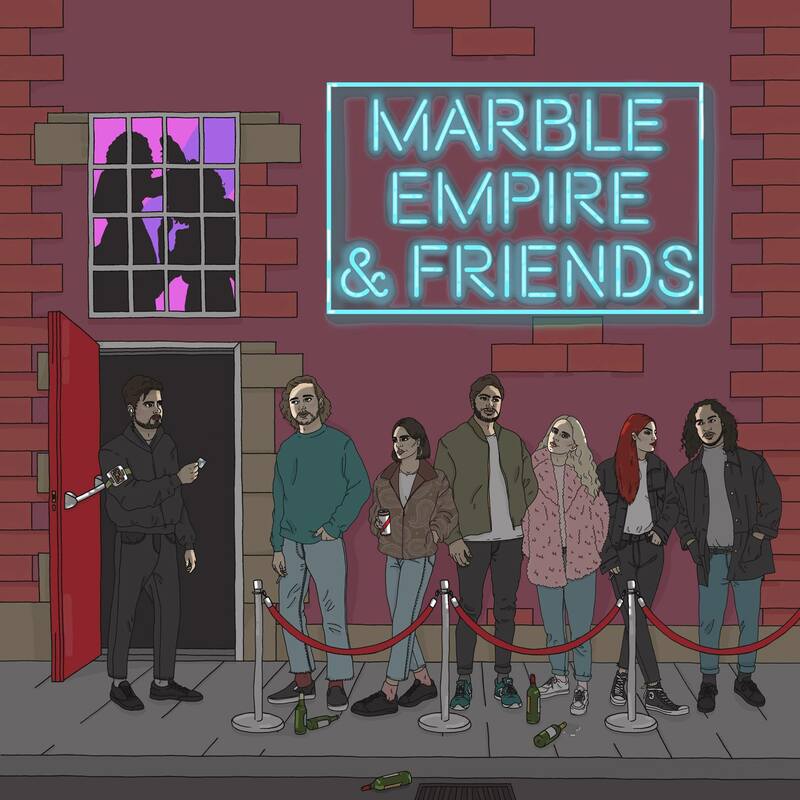 Now Marble Empire & Friends, the EP in question, has landed, and it’s a banger. The concept is simple: Berry has recruited a roster of up-and-comers as co-writers, and together they’ve crafted a clutch of new tunes destined to soundtrack your next underground East London party. It’s a sunny record, upbeat and funky, with sparkling synths and samples fizzing over the top. ‘Throw Away’ (feat. Natalie Green), one of the highlights, kicks off with a skipping riff that sounds like it was lifted from a Mario Bros game. ‘Whole New Game’ (feat. Milo Gore) is a straight-ahead unstoppable club groove. Put that through a thousand-watt PA and you couldn’t not dance. 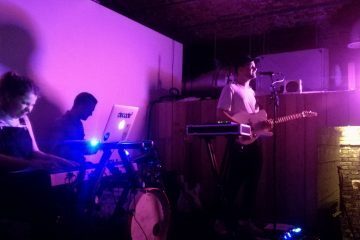 ‘And Friends’ is a beguiling mix of acoustic and electronic all round. Despite the heavy presence of synths, drum machines and vocal manipulation, the core elements of voice and guitar aren’t swallowed up – they lead the way, supported by the electric frippery, not defeated by it. That’s the line between good music and mindless ‘in da club’ droning – human connection. You can’t get inside something like Sean Kingston’s ‘Fire Burning’, for example, because it sounds like a toaster gargling audio wire. On the other hand, you just can’t help getting sucked into songs as husky and human as ‘High Love’ (feat. Kate Lomas). The point is that dance music doesn’t have to be clinical and empty – mixing in raw vocals and acoustic sounds gives it the power to touch your heart as well as your hips. Marble Empire does that to perfection – most powerfully of all, on ‘Head Above The Water’ (feat. Katya DJ), the project’s lead single. I’ve raved about it before, and I’ll do it again – the vocals are just enormous, and dovetail perfectly with Berry’s music. It’s a mini-masterpiece, uplifting and reflective at the same time, the most successful of these collaborations. Then, once the soul singers have put you through the emotional wringer, KarimThaPeasant’s chilled rapping on ‘Mountain’ is the perfect counterpoint, a great big wink and grin: ‘you’re my raindrop, you’re my mountain baby, you’re my sunshine, you’re my peak’. It sounds like a 30-degree evening on Camden lock. The perfect London summer soundtrack. There’s only one misstep: ‘Modern Life’ (feat. 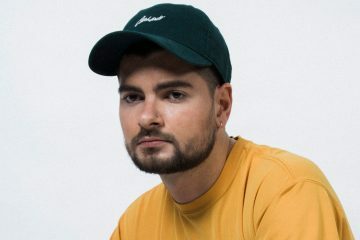 Tchengiz) is a worthy attempt at a heartfelt soul ballad, but there’s just not enough fuel in the singer’s tank to reach the heights he’s aiming for. It’s not irredeemable – just flat. Even with that slightly wince-inducing overlay, though, the quality of the music shines through. Kudos must go to Berry for handing the mic off to these collaborators. With that one exception aside, his partnerships have taken his music to new heights, splashing a varied palette of sounds onto his rock-solid funk foundation and coming together into a whole that’s much more than the sum of its parts. An accomplished project from your new favourite producer, and the perfect way to dance your way through the heatwave. Get your mates together on your nearest patch of brown grass, crack open some beers and throw on Marble Empire & Friends. Good times guaranteed.